Magna International, one of the world’s largest automotive suppliers, has released details on a new concept study named MILA Coupic that makes its world premiere at the Geneva Motor Show. This is the sixth member of the MILA concept family. 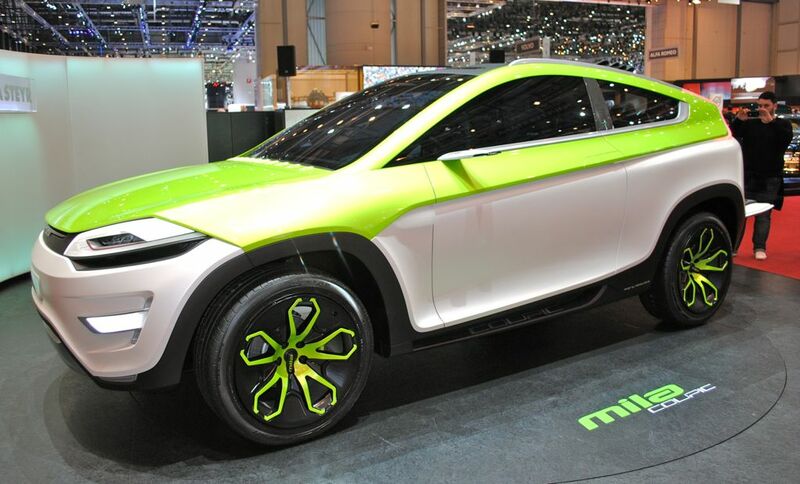 Basically, the MILA Coupic is a shape-shifting SUV that can be transformed into a pick-up or an open-air convertible. According to the company, in its “closed state”, it's a five-seater SUV. Its electrically operated top consists of three layers and sports large glass panels embedded in the textile material. Moreover, its front and rear sections can be opened separately, creating a convertible. By folding the rear part of the roof towards the driver and using what Magna claims is an “innovative seat module kinematics” makes the rear seats move upwards, the five-seat SUV is instantly transformed in a pickup with a spacious loading space. The folded rear seats act as a rear bulkhead for the cabin, effectively protecting the driver and passenger from the elements of nature. If they want to, they can open the front part of the roof and have an open-top pick up truck. According to Magna Steyr president Guenther Apfalter, the concept is all about displaying the newly-developed roof and folding seat arrangement to potential customers from the auto industry: "The MILA Coupic multifunctional concept showcases vehicle functionality through flexible seating systems, roof modules and materials."